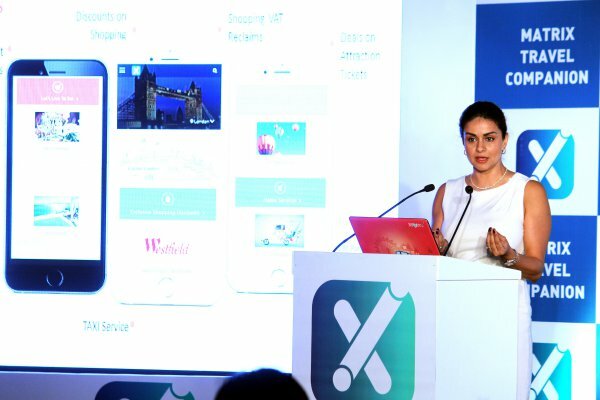 Matrix Cellular, the largest country specific SIM card provider, has launched Matrix Travel Companion App for providing host of services to international travellers such as International Shopping discounts & shopping VAT reclaims, ticket booking for attractions, hotel & apartment bookings, restaurant reservations, travel insurance, buy and recharge prepaid cards, reload forex on prepaid cards, book Uber cab. This app can be downloaded for free from Google Play Store and Apple store. This app offers discounts from over 850 best lifestyle stores in the world including MACY’S, in London, Mall of the Emirates – Dubai, Luxury Shoppes in Las Vegas, Harbour city mall in Hong Kong, Starhill Gallery in Malaysia,Gloria Outlets in Taiwan etc. This app enables travellers to book over 150000 attractions globally such as best Broadway shows like CATS, Aladdin, The Beatles, west end shows like The Lion King. You can buy tickets for attractions like Eiffel Tower, London Zoo, Grand Canyon, Madame Tussauds, Louvre Museum, amusement park tickets like Disneyland, Legoland, Thorpe Park and many more. Tickets can be booked in advance and are emailed, with reference numbers stored on the App for easy access. Matrix is the first of it’s kind App to allow additional savings via Shopping VAT refunds. Currently this service is available in select countries like UK, Germany, Spain, France & Italy. Users can save up to 19% when they shop in Europe and claim VAT refund within a week. This app gives access to over 500,000 hotels and apartments and 10000 restaurants to book from. It also offers good deals both on advance and last minute hotel & apartment bookings. In case of restaurants in Singapore & Bangkok, it also offers 10% – 50% discounts. With Matrix app, you can also book a SIM card of any service provider in India, buy foreign currency and Foreign Currency debit card in India, buy travel Insurance and recharge SIM’s in over 130 countries.